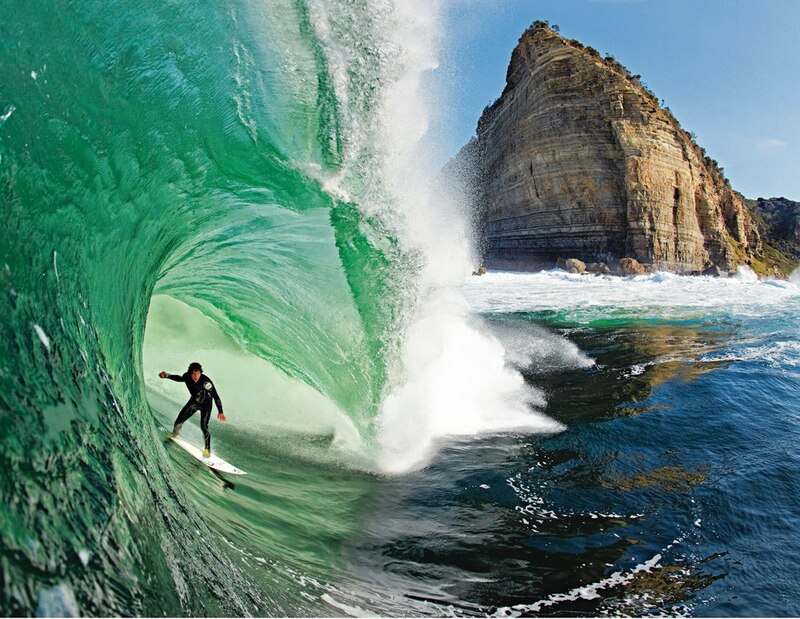 Shipstern Bluff, Tasmania, Australia is located in a remote area on the southeastern tip of the Tasman Peninsula. Named for a massive rock formation the shape of the stern of a sinking ship that juts up out the sea, it is often called Devil’s Point. Here lashing winds of the Roaring Forties whip around waves as high as 30 feet that slam into a 40 foot sheer granite rock face. The waves can push an unlucky surfer 30 feet down to a sharp reef ocean floor patrolled by great white sharks producing one of the most dangerous surfing sites in the world. The shade of green seen on the underside of a big wave that Michio is so fascinated by can easily be seen in the photo and video.